McLEAN, Va. — The U.S. Department of Transportation’s National Highway Traffic Safety Administration and the Insurance Institute for Highway Safety announced today a historic commitment by 20 automakers representing more than 99 percent of the U.S. auto market to make automatic emergency braking a standard feature on virtually all new cars no later than NHTSA’s 2022 reporting year, which begins Sept. 1, 2022. Automakers making the commitment are Audi, BMW, FCA US LLC, Ford, General Motors, Honda, Hyundai, Jaguar Land Rover, Kia, Maserati, Mazda, Mercedes-Benz, Mitsubishi Motors, Nissan, Porsche, Subaru, Tesla Motors Inc., Toyota, Volkswagen and Volvo Car USA. The unprecedented commitment means that this important safety technology will be available to more consumers more quickly than would be possible through the regulatory process. AEB systems help prevent crashes or reduce their severity by applying the brakes for the driver. The systems use on-vehicle sensors such as radar, cameras or lasers to detect an imminent crash, warn the driver and apply the brakes if the driver does not take sufficient action quickly enough. NHTSA estimates that the agreement will make AEB standard on new cars three years faster than could be achieved through the formal regulatory process. During those three years, according to IIHS estimates, the commitment will prevent 28,000 crashes and 12,000 injuries. Based on mounting evidence that AEB effectively reduced crashes and injuries in the United States and around the world, NHTSA and IIHS issued a challenge to the industry in September 2015 to encourage automakers to voluntarily make AEB a standard feature. A series of meetings followed to establish details of the commitment. Today’s commitment will make AEB standard on virtually all light-duty cars and trucks with a gross vehicle weight of 8,500 pounds or less beginning no later than Sept. 1, 2022. AEB will be standard on virtually all trucks with a gross vehicle weight between 8,501 pounds and 10,000 pounds beginning no later than Sept. 1, 2025. As NHTSA continues its regulatory work in this area, NHTSA will track the progress industry is making towards its commitment. The commitment takes into account the evolution of AEB technology. It requires a level of functionality that is in line with research and crash data demonstrating that such systems are substantially reducing crashes, but does not stand in the way of improved capabilities that are just beginning to emerge. The performance measures are based on real world data showing that vehicles with this level of capability are avoiding crashes. To encourage further development of AEB technology, NHTSA will accelerate its research on more advanced AEB applications, including systems that reduce the risk of collisions with pedestrians. In December, NHTSA announced plans to rate AEB systems and other advanced technologies under its 5-Star Safety Ratings beginning in model year 2018. 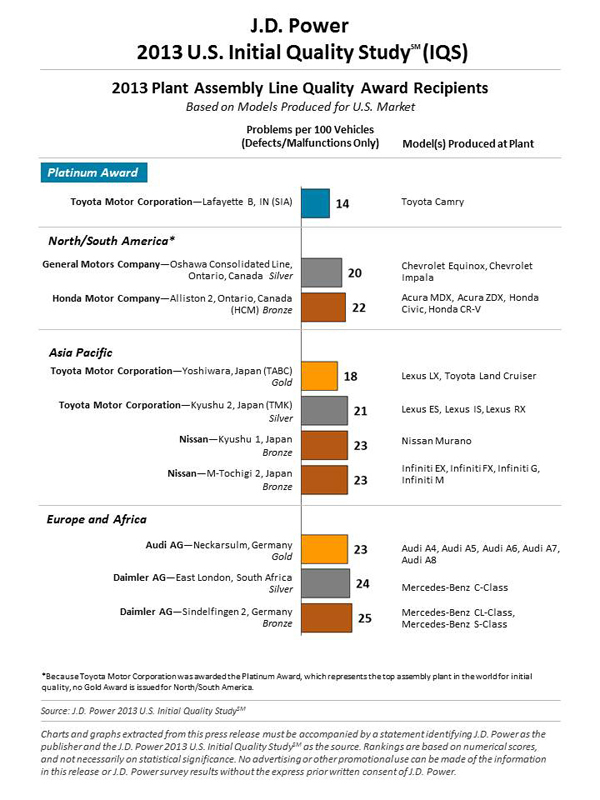 Participating manufacturers: Audi, BMW, FCA US LLC, Ford, General Motors, Honda, Hyundai, Jaguar Land Rover, Kia, Maserati, Mazda, Mercedes-Benz, Mitsubishi Motors, Nissan, Porsche, Subaru, Tesla Motors Inc., Toyota, Volkswagen and Volvo Car USA — representing more than 99 percent of the U.S. new-car market. Details of the commitment: Participating automakers commit to make AEB standard on virtually all light-duty cars and trucks with a gross vehicle weight of 8,500 pounds or less no later than Sept. 1, 2022, and on virtually all trucks with a gross vehicle weight between 8,501 pounds and 10,000 pounds no later than Sept. 1, 2025. What is AEB? Automatic emergency braking helps prevent crashes or reduce their severity by applying a vehicle’s brakes automatically. The systems use on-board sensors such as radar, cameras or lasers to detect an imminent crash, warn the driver, and apply the brakes or increase braking effort if the driver does not take sufficient action. Performance requirements: Participating manufacturers will ensure vehicles have both a forward collision warning system that meets a subset of the National Highway Traffic Safety Administration’s current 5-Star Safety Ratings program requirements on the timing of driver alerts and an automatic braking system that earns at least an advanced rating in the current Insurance Institute for Highway Safety front crash prevention track tests. The baseline performance measures are a speed reduction of at least 10 mph in either the IIHS 12 or 25 mph tests, or a speed reduction of 5 mph in both of the tests. Safety benefits: IIHS research shows that AEB systems meeting the commitment would reduce rear-end crashes by 40 percent. IIHS estimates that by 2025 — the earliest NHTSA believes it could realistically implement a regulatory requirement for AEB — the commitment will prevent 28,000 crashes and 12,000 injuries. 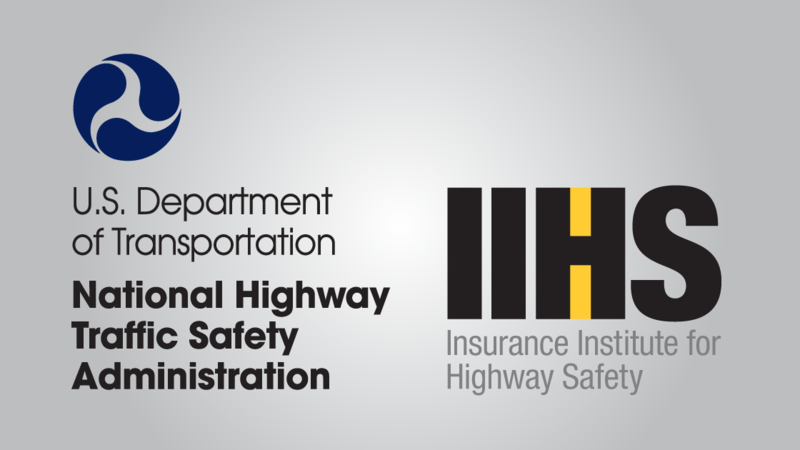 Monitoring progress: IIHS and NHTSA will monitor automakers’ progress toward the commitment and provide annual updates on that progress. Commitment letters from each of the manufacturers, along with annual submissions on their progress, will be posted at www.regulations.gov under docket number NHTSA-2015-0101. The use of technology—i.e., tablets and computer displays—by dealers during the sales process can substantially improve customer satisfaction among new-vehicle buyers, according to the J.D. Power 2015 U.S. Sales Satisfaction Index (SSI) StudySM released today. The study, now in its 29th year, measures satisfaction with the sales experience among new-vehicle buyers and rejecters—those who shop a dealership and purchase elsewhere. Buyer satisfaction is based on four factors: working out the deal (17%); salesperson (13%); delivery process (11%); and facility (10%). Rejecter satisfaction is based on five factors: salesperson (21%); fairness of price (8%); experience negotiating (8%); facility (7%); and variety of inventory (7%). Satisfaction is calculated on a 1,000-point scale. Overall sales satisfaction improves to 688 in 2015 from 686 in 2014. Given an increasingly tech-savvy consumer, dealerships that integrate technology tools into their sales process deliver a superior customer experience. Dealers that fail to invest in consumer-facing technologies risk being trumped by competitors. According to the study, among both non-premium and premium buyers, use of tablets by sales personnel to perform such tasks as record customer vehicle needs, demonstrate vehicle features and display pricing information yields higher satisfaction with technology usage than when a tablet is not used (8.12 vs. 7.02 and 8.63 vs. 7.52, respectively, on a 10-point scale). Notably, handwritten price quotes have a negative impact on buyer satisfaction with technology usage, with a -0.55 point gap in satisfaction between non-premium buyers when this method is used and when it is not and a -0.45 gap between premium buyers. Finance and insurance (F&I) products, such as extended warranties, pre-paid maintenance contracts and tire/road hazard protection are not only highly lucrative for dealers, but satisfaction is also higher among customers who are offered these options. 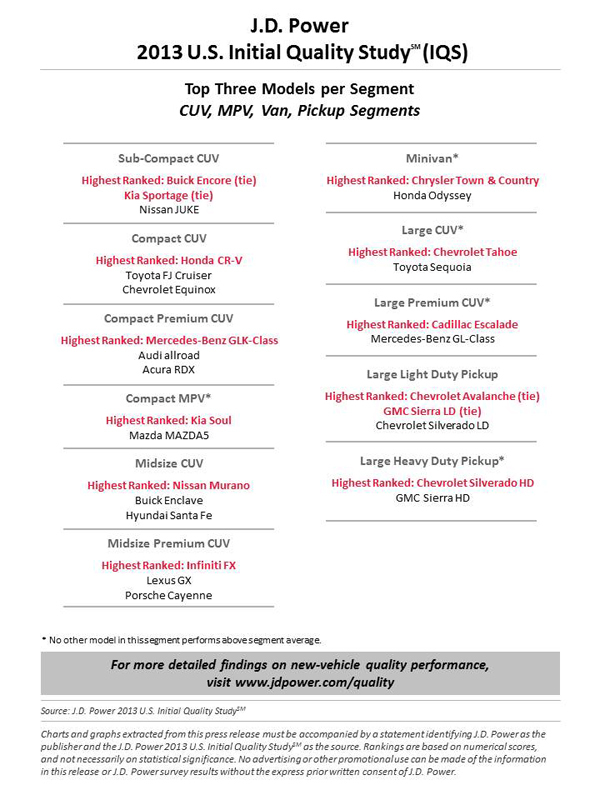 For example, among non-premium owners, satisfaction is 46 points higher when a dealer offers them a pre-paid maintenance contract vs. when they do not (788 vs. 742, respectively), and among premium buyers the gap is 26 points (827 vs. 801). Moreover, when F&I product and pricing/payment options are presented on a computer or tablet screen, satisfaction is higher than when any other method is used, including printed materials, verbal quotes/descriptions and handwritten figures. Gen Y—the single most impactful generation on all markets due to numbers and purchase power—is among the buyers flocking to car lots and accounts for 29%1 of new-vehicle retail sales. Furthermore, average transaction prices for new vehicles exceed $30,000.1 “There is every incentive for dealers to use the most effective tools available to satisfy customers and build a relationship with them during the initial purchase process. This relationship should translate quickly into future service business. Implementing tools and processes that meet the needs of Gen Y will ultimately benefit all consumers,” said Sutton. Sales Staff Remain Vital to Sales Experience:The most impactful sales satisfaction key performance indicator (KPI)—best practice—is interacting with a salesperson who understands the customer’s needs completely (+106 points). Such salespersons are good listeners, ask relevant questions and are able to deliver on customer requests. This KPI demonstrates that even with the growing prevalence of online communications and emphasis on an efficient transaction, the salesperson still plays a key role. 5 of Top 10 KPIs Relate to Working Out the Deal:Among the most impactful KPIs are five that involve making customers feel comfortable (not pressured) and confident they are receiving the most transparent and up-front information to aid their decision-making while at the dealership. Delivering on these best practices improves satisfaction and builds loyalty and advocacy. Gen Y Equally Interested in Safety and Protecting Vehicle Value as Other Generations:Among generational groups, Gen Y is as likely to purchase F&I products as other generations. For example, by generation, the following proportions of customers purchase tire/road hazard protection: Gen Y (21%); Gen X (21%); Boomer (20%); and Pre-Boomer (20%). Porsche ranks highest in sales satisfaction among luxury brands, with a score of 752, improving by 14 points from 2014. For a sixth consecutive year, MINI ranks highest among mass market brands, with a score of 762, a 35-point increase from 2014. The 2015 U.S. Sales Satisfaction Index (SSI) Study is based on responses from 27,831 buyers who purchased or leased their new vehicle in April or May 2015. The study is a comprehensive analysis of the new-vehicle purchase experience and measures customer satisfaction with the selling dealer (satisfaction among buyers). The study also measures satisfaction with brands and dealerships that were shopped but ultimately rejected in favor of the selling brand and dealership (satisfaction among rejecters), and was fielded between July and September 2015. It may seem obvious if the web sites you check show a pop up screen with a salesmen at the ready to answer your posit on a new vehicle on the lot, that they want your business (and we all know how many check websites before they do their showroom shopping) but a new study sales that 1 in 4 web checks is unanswered after 24 hours. Overall, the study by Pied Piper PSI® Internet Lead Effectiveness™ (ILE™) Study showed salespeople responded to internet inquiries within 30 minutes nearly half the time (48%). Two years ago it took a full hour to receive the same percentage of salesperson responses. Pied Pipe said that today the first response to a customer internet inquiry is an auto response 79% of the time, a personal response 14% of the time, and no response of any type 7% of the time. Study rankings by brand were determined by the patent-pending Pied Piper PSI process, which ties “mystery shopping” measurement and scoring to actual industry sales success. Audi, Porsche and Hyundai dealerships showed the most improvement from the previous year. Nissan, as well as Chrysler Group LLC brands Dodge, Jeep and Chrysler, recorded the second year in a row of solid gains, which pushed Nissan, Dodge and Jeep into the top five of the rankings. 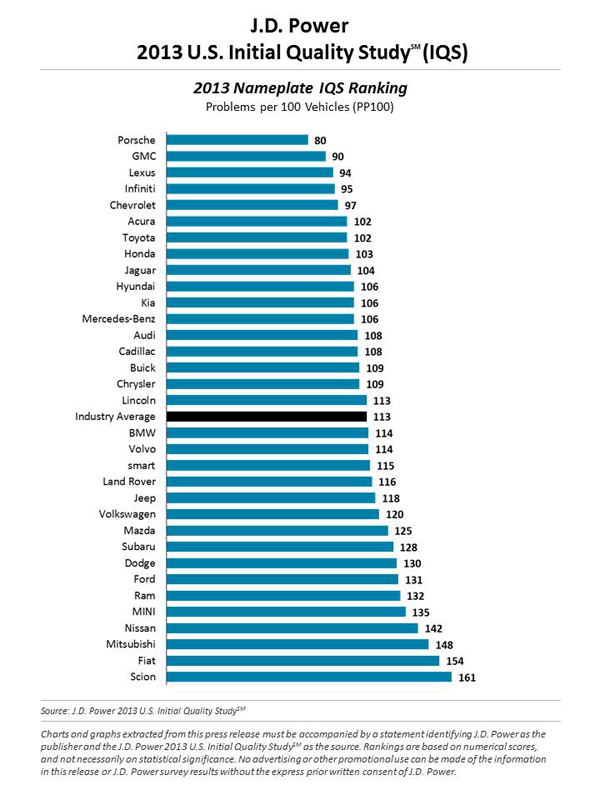 Chrysler Group’s recent efforts have successfully pushed Dodge, Jeep and Chrysler’s PSI-ILE rankings from 27th, 30th and 29th in 2011 to 3rd, 3rd and 6th in 2013. The study said that Mini, Volvo and BMW salespeople were twice as likely to reply with an answer to specific customer questions as salespeople from Lincoln, Kia or Land Rover dealerships. Dealers encourage follow-up by telephone if customers provide a phone number. Salespeople from Ford, Nissan, Honda, Toyota and Mercedes-Benz dealerships all attempted to follow-up by telephone at least 60% of the time. Salespeople from Lexus, GMC, Volkswagen and Land Rover dealerships were least likely to attempt to follow-up by telephone. Of course you can’t call whom doesn’t give you a number, and that makes sense. And if you ping the dealer with a question and the sales folk are all busy at that time, response time can be delayed. That makes sense, too. If nothing else, it shows that Internet tire-kicking is taken seriously and those who treat it so will likely reap the benefits in the showroom with a sale. 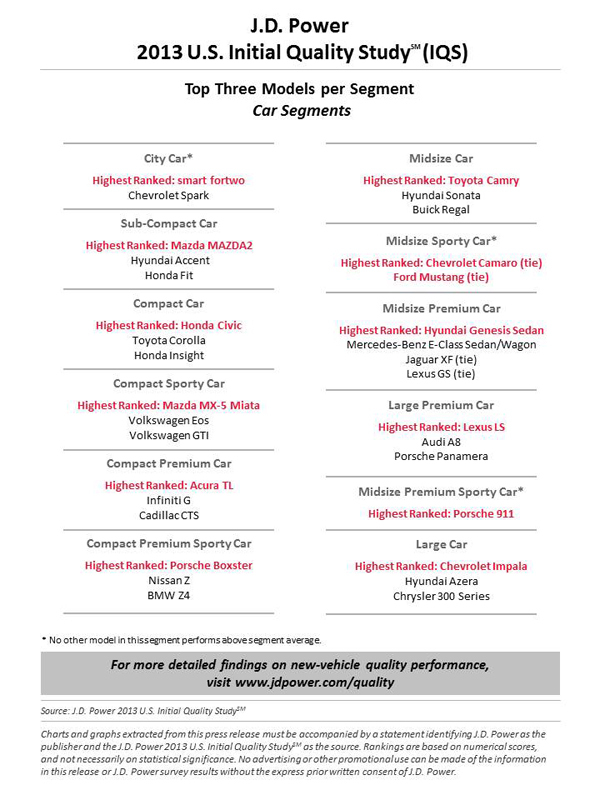 The 2013 Pied Piper PSI® Internet Lead Effectiveness™(ILE™) Benchmarking Study (U.S.A.) was conducted between April 2012 and March 2013 by submitting internet inquiries to a sample of 11,353 dealerships nationwide representing all major brands.